Beauty Subscriptions: Are They Worth It? As a self proclaimed beauty junkie, I noticed a trend. There are all sorts of new beauty subscriptions cropping up! Typically, a beauty subscription is a medley of different beauty samples shipped straight to your door for a monthly fee. While some of you may scoff at paying money for samples that you can get at department store for free, one of the cool things about beauty subscriptions is that you can try new products that you would have never tried or selected on your own. It’s like having a beauty editor pick out the coolest brands or products for you to try! Plus as a busy hijabi mom, I do NOT have the time and patience to wheedle with beauty counter ladies in order to score from free samples. I would have never tried this highlighter called Mary Lou Manizer from The Balm if it did not come in my October Birchbox. NOW I am hooked on it. It helps me glow even when I am sleep deprived. So thank you Birchbox! Pros: Comes with a wide range of funky beauty samples plus it comes with a freebie non beauty item. It is the cheapest subscription of the bunch too. Cons: The caliber of some of the brands is weak. Also, they need to work out logistics with shipping on time. 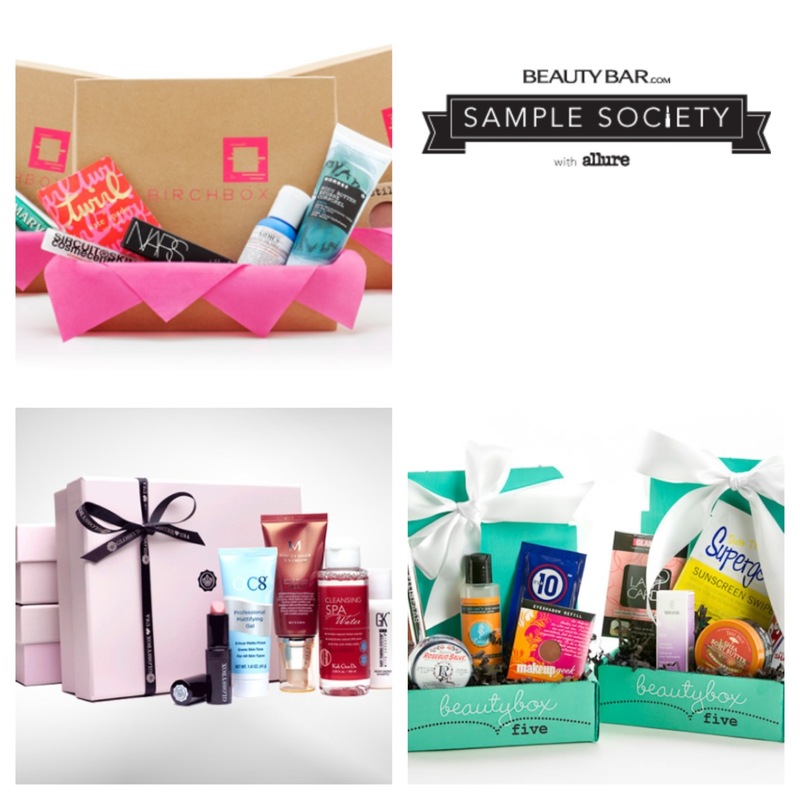 Pros: Beauty Bar teamed up with the famed Allure Magazine to create beauty boxes worth coveting. Also they sometimes throw in full size items! Also includes a subscription to Allure Magazine and a coupon to use on the site for a full sized item. Cons: It is one of the pricier subscriptions. Pros: Their samples seem more generous. Cons: The beauty brands they carry are not as well known or as prestigious. Pros: Carries the most high end samples of the bunch. If you are into sampling luxe brands like Burberry Beauty, Carol’s Daughter, and Kinerase, then this is the box for you. Cons: Most expensive subscription of the bunch. There are plenty of other subscriptions like Ipsy, etc but I thought the four I reviewed above were my favorites. As for my true blue favorite, that is a secret! What is your favorite beauty subscription? And just so my male readers don’t feel left out, there are men versions of subscriptions too (like Birchbox Man). Let me know what your recommendations are.